Greg is now the Lloyd P. Johnson Norwest Professor of English and the Liberal Arts at Carleton College, (in Minnesota, the best place in the world, and where I met him). Here’s hoping he’s working on something else, and here are just some of the many, many questions that arose for me while I re-read his latest. Bonnie Nadzam: In The Maze at Windermere, Greg, you write from the perspective of a gay man, Henry James, and a Quaker girl. You write of a “Jewess,” of a “Negress” who is literally a whore, about a 21st-century black woman living off the wealth of a rich white East Coast family, and even a young woman with cerebral palsy. A reader might ask: Who do you think you are, Gregory Blake Smith? Did or do you worry at all about putting voice to those whose real life counterparts, as it were, have had such different experiences from your own? Gregory Blake Smith: Let me just object in a squeaky voice that it is not I, the author, who uses words like “Jewess” or “Negress,” but my characters. For me the power of fiction lies in the way it allows us—even requires us—to break through the parochial limits of our own selves and live imaginatively in the skin of others. What I tried to do in The Maze at Windermere is weave together diverse threads of American history into stories that were locally different (dressed in the concrete details of a specific era, sexuality, race, class) and which at the same time transcended those local limitations to show the ways in which we are fundamentally similar in our hopes and desires, and yes, in our duplicity. And to do that I needed to invent a rich and varied cast of characters. As to whether I worried about some potential controversy, I don’t think I did. If anything, I think I would welcome such controversy simply because I deeply believe in what I just said. The notion that a writer, or any artist, must be confined to his own experience, kept inside the prison of his own skin, seems to me to profoundly misunderstand the nature of art—especially of narrative art which relies so crucially on the richness of human difference. And even though wars of inclusion and exclusion rage around us, I will continue to insist, here in my writer’s hole, that every novelist has the freedom and the right—perhaps even the duty—to wonder at the full beauty and horror of human experience and to try to represent that wonder on the printed page. BN: I see no trace of Greg Smith in these pages. This is remarkable for so many reasons, not the least of which is that the point of view changes so radically from section to section. Tell me about losing yourself in the artistic process. GBS: When I was in the early stages of planning Windermere, I went thumbing through history with an eye to which of Newport’s eras might make for the most promising drama—its beginnings as a little Quaker seaport, the fabulous mansions of the Gilded Age—and then tried to dream up characters who would “speak” those eras. That dreaming took a variety of forms. Franklin Drexel, my gay, gilded lapdog, is loosely based on an actual historical character, a piece of work named King Lehr who wooed a rich woman and then told her on their wedding night that he loathed her physical being, and there would be none of that between them. The character of Alice du Pont bloomed in me one day when I was walking in the Boston Public Gardens and saw a young woman who, in spite of her cerebral palsy, moved with a lovely, sensitive grace that seemed to suggest some inner world of moral beauty. So as I began to write I found myself on the one hand imitating Oscar Wilde—his wit, his urbanity, his smiling malevolence—in creating Franklin’s voice, and on the other hand with Alice, inhabiting a life where what is externally visible is a tragic misrepresentation of internal vitality. And on and on—five hands in all—ending with little Prudence Selwyn, orphaned at 15 and having to find a way forward in the American wilderness, all the while worrying about the state of her soul. That said, if I still had to choose one character in the novel that is closest to me, it would be Alice du Pont. I’m not a woman, I’m not rich, I don’t have cerebral palsy, nor am I a “manic-depressive, junior grade” (her words), but on some level we are kindred souls. For one thing we share a love of history—not the history of textbooks but the history you can imaginatively glimpse under the present world. When she gets drunk and goes walking through Newport in the wee hours of the morning, hearing and seeing earlier Newports under the darkened present—let’s say the sound of the Jewish congregation in Touro Synagogue, or behind the tiny windows of an attic room an enslaved man remembering the girl he loved back in West Africa—well that’s the sort of thing (I’m blushing now) her author does. BN: Here’s an utterly subjective and critically irrelevant note: There is a section I’d call “the best,” but it’s because (of course) it’s my personal favorite: the 1692 narrative. I find the language and story achingly beautiful. And your ability to “convincingly” write from the perspective of a 15-year-old Quaker girl, complete with the English language as it was so many centuries ago—equally breathtaking. What is your own “favorite” section, if you have one? GBS: One of the biggest kicks I got out of writing this novel was the ventriloquism of speaking in five quite different voices. And not just different in the ordinary sense of a character having his or her own particular voice, but also in the fact that each character narrates in the English of the era he or she lives in. Just as an example, your favorite, Prudy, at one point describes herself as being “in such a mix,” by which she seems to mean flustered, but it’s a phrase we simply don’t use anymore. It was very important to me that each character exist in the verbal ether of his or her time. Above all, I didn’t want to import essentially modern characters into earlier eras, something Edmund White has called dressing up contemporary characters “in historical drag,” which is to say, retroactively giving the historically marginalized the power and moral consciousness of 21st-century people. That strikes me as not just historically fake, but artistically immoral. Rather I tried to show how each character is caught in the web of his or her own era, whether the paternalistic 17th-century world Prudy finds herself in, or Aisha trying to make her way in the new gilded age of our own 21st-century America. I wanted to see these characters work their lives against the historical and social realities of their times and not give them the easy out of having an enlarged contemporary consciousness. But as to my favorite section… well, to my ears each has its own delights. But in hearing from readers what’s been curious is how varied these “favorites” can be. I even got an email from someone who loved the story of Major Ballard—the one character I went out of my way to make offensive, even evil: a womanizer, a bigot, a racist, and finally a murderer. To each his own indeed! BN: On your characters existing in the verbal ether of their time—I’m imagining you, a long-time professor of American Literature, “simply” hold all such ether in your being. That “in such a mix” was as readily available in your own well-read lexicon as the idioms of your own day. True? GBS: Thank God for the Oxford English Dictionary! And even more for the digital version (farewell magnifying glass!) which I had installed in my laptop and which I must have consulted a thousand times. So alas, no I don’t have the whole ether of the English language in my poor head. The “authentic” language of each section is a mix of rummaging in the OED, stealing words and phrases from contemporaneous documents, and a good deal of faking it. BN: Though I realize the novel is itself an “answer” to the question posed by Walt Whitman in your epigraph (“What is it then between us? / What is the count of the scores or hundreds of years between us? / Whatever it is, it avails not—distance avails not, and place avails not.”), would you share your non-fiction perspective with us anyway? GBS: That quote is from Whitman’s marvelous “Crossing Brooklyn Ferry” (which we read in the American Lit class we had together, right?). The narrative idea behind that poem is that Whitman is speaking to some future reader—perhaps “centuries hence” he says—and speaking as if he is right there beside her (which, transcendentally, I suppose he is). It took me years to realize that that one word—“What is it then between us?”—has a double meaning. On the surface the lines seem to be asking simply what is it that separates us, separates the poet from his reader, separates one human being from another, the living from the dead. But in the context of the overall poem, that “between” also means its opposite: what is it that unites us, what is it that we share? 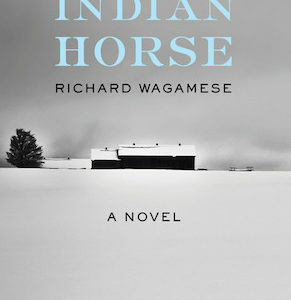 In The Maze at Windermere this question of what we have in common as human beings even though we are separated by centuries, gender, race, sexual orientation—all those differences you mentioned above—is ultimately what the novel is about. It’s seeking some sense of who we are beyond the mere facts of our skin color or the era we happened to have been born in. As an aside, I have to say I’ve always been a little gun-shy of that sort of epigraph—it’s like you’re trying to borrow the glow of some greater writer—but in the end the quote was just too perfect not to use. BN: Yes, it’s perfect—a little mirror held up against the novel itself, and vice versa. And yes, we read that poem together in American Lit, when I was 17, and in the whole semester the only decent thing I wrote was a single sentence you’d indicated was beautiful; the beauty you saw was in something structural, which was a new way for me to think about beauty. What makes a beautiful sentence, Professor Smith? There are many in your novel, including the very first, that seem to hold the entire novel in miniature—in perfect resonance with the story as a whole. Were sentences such as this one “final-draft” considerations? Did you go back and revise them to hum alongside each other as they do? Or did the story of the novel grow out of them as you wrote them, one at a time, in order? GBS: You don’t need me to tell you what a beautiful sentence is, Bonnie. We will place in evidence your Lamb as proof of that. And the last sentence of Lions haunts me still. But as to whether these bits of “perfection” (if that’s what they are) are the result of revision: I’m one of those odd writers who doesn’t revise much. But that’s why I’m so darn slow. I have to have one sentence, or one section, down before I can move on to the next. So although of course I edit after the first draft of a novel is finished—and in Windermere at one point I had to do some fairly significant shuffling of sections—the actual words and sentences end up being much as I originally wrote them. Frankly, I wish it were otherwise. I envy those writers who write in a white heat, and then revise in Wordsworthian tranquility. But that’s not me. I have to lay one course of brick, make sure it’s plumb and level, and then go on to the next course. Slow going. BN: We’re limited on word count, but I have to say your response to the previous question about how you work stuns me, and gives me a strong, quiet feeling of faith in the artistic process. Onward with the questions. It’s easy for me to find negative resonances across the different eras represented in the novel: gun violence, environmental destruction, racism, anti-Semitism, mental illness, self-injury, horrifying inequality, alcohol abuse, glorification of youth… tell me about some of the more “positive” similarities across the ages and narratives. What hope is there for America? GBS: I guess I’d have to say that the hope for America is no different than the hope for humanity: we can only survive on this small planet if we find and value what it is between us in the second sense of that word—what unites us, the ties that bind if you will. It makes me think of Faulkner’s “eternal verities,” a phrase that for some years was out of fashion when we all seemed to want to fracture into postmodern relativity. But those eternal verities—Faulkner seems to mean things like dignity, honor, the need for love—do seem to be eternal, at least eternally longed for in the human heart. So for me the question—and the question the book is indirectly addressing—is how do we value both the “local”—our race, gender, era, sexuality—and the “eternal?” This is why living one’s life only within the purview of the identity politics you asked about above seems to me so limited. It separates. It sets a watchmen—a bouncer, if you will—at the door to every group, when what we need is inclusion and fraternity if we are not all to die at the hands of some aggrieved individual whose localized world view has caused him to pick up an AR47 and head for the local mall. BN: Thank you for reminding me of Faulkner’s eternal verities. I need to sit in on another literature class of yours. Which brings me to this: why is there no creative writing major at Carleton College, where you’ve worked for so many years? Will there ever be? And how, as a teacher, do you cultivate or foster creativity in your students (if it’s even possible to do so)? GBS: Ugh, how I hate that word—“creative”—and how it’s followed me around like a stray dog my whole life. It seems to me you need three things to be a writer: a love of words (which can’t be taught), stick-to-it-tiveness (which can’t be taught), and an interesting mind (which maybe can be helped along). What can be taught is literary form. And so my workshops are centered around that. As to having something to say, there’s a moment in Fellini’s 8½ when the director character, at a loss for a subject for his next film, says “I don’t have anything to say, but I want to say it anyway.” I just love that! It sounds like an admission of failure, of being a fraud, but in fact I think it’s that very desire, that wanting to make something, that is the wellspring of all creative (there’s that word!) endeavor. The desire to create precedes the having something to say. As to a creative writing major at Carleton, I’m afraid I’m of the opinion that an undergraduate who thinks she wants to be a writer is better served majoring in something that will help make her mind interesting. And that can be anything. Literature, of course. But history, religion, psychology, even the sciences. The thing is to furnish your mind with interesting stuff. Sure, take a writing workshop or two as you go along, but who knows what range of reference, what metaphor from biology, some novel or other is going to demand of you. Better prepare yourself! BN: Speaking of range of reference, tell me about the furniture you built while working on this novel and—because I can’t resist—about the harpsichord you built and that sits in your home. For you, what relationship is there, if any, between the craft of writing fiction and a craft you must embody literally and work with your hands? GBS: In one of his Cantos Ezra Pound says in his put-on 17th-century voice: “What thou lovest well remains, the rest is dross.” I started making furniture in my mid-twenties and forty years later it remains. During the writing of Windermere I was also working on an Arts & Crafts dining table and six dining chairs. The table took one year, the set of chairs two years, and the novel five years. But what an odd coincidence that it was the furniture of Newport—the great Goddard-Townsend school—that first got me interested in period furniture. It was seeing their extraordinary work when I was young—and discovering that examples cost tens or even hundreds of thousands of dollars—that set me on the course of learning how to work wood and how to reproduce antique furniture. If you can’t buy it, make it yourself was my thinking. Same goes for the harpsichord. I remember years ago seeing a 19th-century sampler that some young girl had embroidered with the usual alphabet and row of squat houses—a demonstration of her needlework skill—but she had also included an inscription that really struck me: “I, too, will something make, and joy in the making.” Even now this seems to me profoundly beautiful. Some young girl in some New England village, just beginning life, marriage and children and maybe suffering ahead, voicing that lovely, bracing belief, that “too” linking her to all the other human beings who have tried to create. I thought one could do worse than to try to live one’s life by such a sentiment. But now that monster Reality intrudes, for I subsequently discovered that that inscription is from a Robert Bridges poem, “I Love All Beauteous Things,” published in 1890, which would make my girl’s sampler awfully late. So maybe I’m misremembering it all. Maybe the sampler I saw was just a modern reproduction, and there is no young girl in 1840s Worcester about to thread her needle. But let us lure Reality back into its cage and instead pretend that it wasn’t the girl who borrowed the line from Bridges, but Bridges who took it from the girl. This brave, quiet, anonymous girl who lived her life outside the history books, and now lies somewhere in some grassy cemetery, but who, while she lived, took joy in the making.